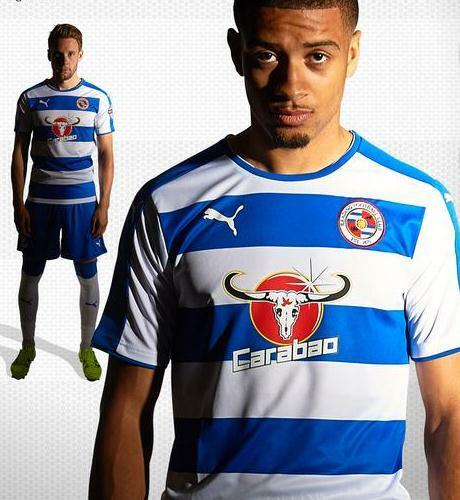 This is the new Reading FC home strip 15/16, Reading’s new kit for the upcoming Championship season. 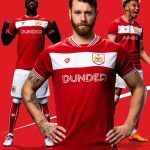 Made by Puma, the new Royals home shirt was officially unveiled on July 3, 2015 and features a new sponsor in the form of Thailand based drinks company Carabao, who replace Waitrose on the front of the jersey. The strip will first see action when Reading take on a Thailand All Stars side in Bangkok on Wednesday, July 8, 2015. The shirt features Reading’s iconic hoops, which also go around the back, as can be seen in the pic below. 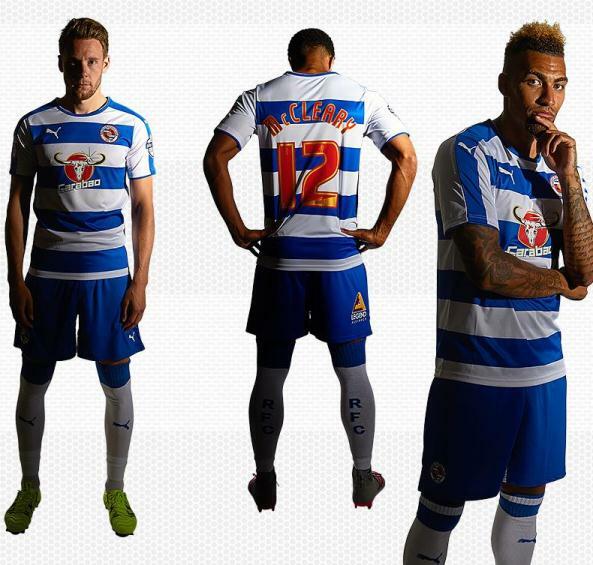 Blue shorts and white socks complete the look of the new Reading 2015/2016 home kit. This entry was posted in English Championship and tagged Puma on July 3, 2015 by Football Kit News. Hoops all the way around is good, but that sponsor is BAD. Maybe that’s why that first promo shot had such poor lighting! None of the players look very happy in it. Barring the sponsor it’s a pretty smart shirt. Not much you can really do with hoops, is there? Is that a dead cow? Is that… a bison skull?! 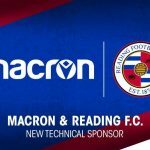 I Pefer Q.P.R home kit template in the way the hoops are on that kit to the way Puma have went about putting this template together for Reading. Puma have not produced any great kits since the last world cup. with your kits so less cash to spend on new players. The sponsor is bad, but looks UNIQUE. I think the kit is tidy, but nothing to get too excited about.